WASHINGTON, Jun 14 2013 (IPS) - A Congressional task force started work Friday to review the massive U.S. federal penal code and cull statutes deemed to be overlapping, ineffective or otherwise unnecessary. The bipartisan House Committee on the Judiciary Over-Criminalisation Task Force will also come up with recommendations for broader reforms of the criminal justice system, the first time such reforms have been discussed in two decades. In recent years, some efforts to look at ways to tame the penal code and rein in the country’s record-high prison population have been scuppered by political wrangling. Nonetheless, the task for has received broad support from across the political spectrum, uniting conservatives afraid of government overreach and liberals concerned with the criminalisation of minor offenses and “prison state” tactics. “The Judiciary Committee is one of the most partisan committees in the Congress, so conservatives and progressives agreeing that it is timely and important to take a look at the criminal justice system – this is a tremendous opportunity,” Jennifer Bellamy, legislative counsel with the Washington legislative office of the American Civil Liberties Union (ACLU), an advocacy group, told IPS. In introductory remarks on Friday, task force members noted that recent decades have seen Congress massively expand the number of federal offences. “Federal offences increased by about 30 percent between 1980 and 2004, so that we’ve averaged almost one new crime a week over the past few decades,” Representative Bobby Scott said Friday. The lack of adequate “intent” requirements for many statutes is blamed for allowing for the criminalisation of innocent people or those who unknowingly break certain laws. Other laws are seen as overly broad, particularly given the relatively recent rise in crimes that carry mandatory minimum punishments. "An individual's fate often hinges on not the actual offence but the authority that prosecutes them." The number of federal prisoners in the United States has increased by almost 800 percent over the past three decades, to almost 220,000 today. According to a February report by the Congressional Research Service, the Congress’s main research wing, that build-up is “historically unprecedented”. It also means that the United States today has both the largest number of people in prison and the highest rate of incarceration of any country – locking up some 750 people per 100,000 residents, seven times the international average, and inordinately affecting minorities. Not only have those numbers created a massive budgetary drain, but scholars have suggested that this level of incarceration is dangerous for society at large. According to landmark research by the Pew Centre on the States, a research group, any incarceration rate over 500 per 100,000 actually produces more crime by affecting families and vesting people with criminal records. Meanwhile, states are locking up African-Americans at an average rate of 2,200 per 100,000. According to a major report on racism that the U.S. State Department sent to the United Nations on Thursday, African-American men remain 6.4 times more likely to be incarcerated than white men. A significant amount of the work – and potential – for the new task force will simply be in disentangling federal from state statutes. On a broader level, advocates are hoping that the process will result in an effort to redefine the role of the federal government in prosecuting criminal activity. “The states have historically had responsibility for prosecutions, and it’s only fairly recently that the federal government has become increasingly involved,” the ACLU’s Bellamy said. 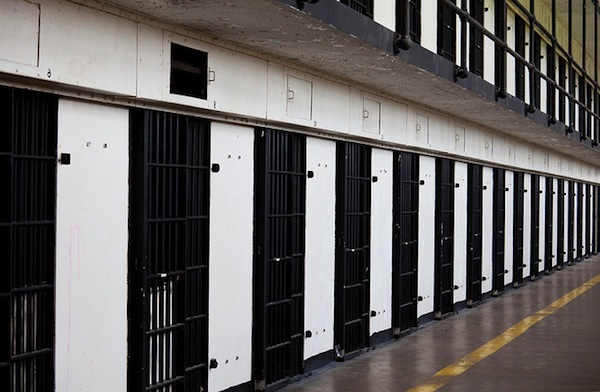 States in recent years have become cauldrons of innovative – and bipartisan – thinking on criminal justice-related reforms. Motivated to a great extent by the fiscal challenges that have cropped up since the economic downturn, state governments have been increasingly tackling policies that have led to high levels of incarceration. Juvenile detention and drugs sentencing have constituted two particular focuses, and the latter could now form a central part of the task force conversation. Federal drug policy is widely acknowledged as a leading driver for the current high incarceration rates, accounting for roughly half of the federal prisons population. The last Congressional attempt to address over-criminalisation, in 2011, failed because conservatives worried that it could lead to lighter punishments for marijuana-related offences. Yet some advocates suggest drugs law could today provide fruitful middle ground. “In recent years, we have seen the left and right coming together to critique excessive federal intervention in the drug war and the often wasteful and unnecessary incarceration,” Marc Mauer, executive director of the Sentencing Project, an advocacy group, told IPS. The task force is expected to hold open meetings for the next six months, aimed at coming up with a final set of reforms recommendations that would then move through Congress as a normal law. For the moment, however, some critics note that Congressional lawmaking is proceeding as normal. “Less than 24 hours before this morning’s… hearing, the House Judiciary Committee heard testimony on a new immigration bill that expands the federal criminal code, creates a crime without including an intent requirement, and establishes new and expands existing mandatory minimum sentencing provisions,” Julie Stewart, president of Families Against Mandatory Minimums, an advocacy group, said Friday.